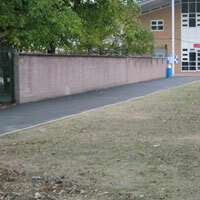 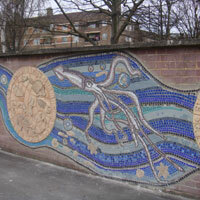 Months of artistic endeavours resulted in an amazing transformation of the front of Ben Jonson Primary School. 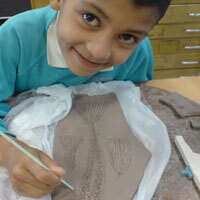 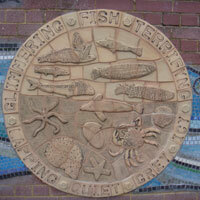 Hundreds of clay fishy creatures, surrounded by watery words and bolted with applique clay make up eight large clay portholes. 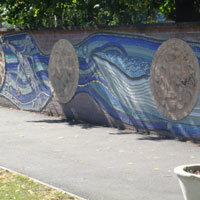 They punctuate this rolling, swirling, sparkling 25 metre mural. 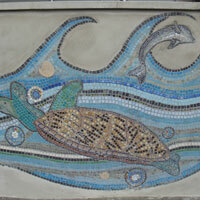 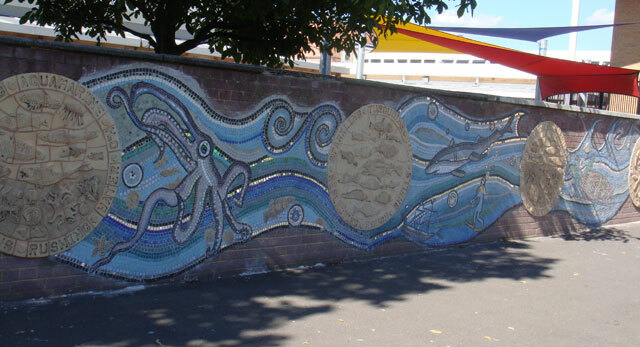 Glittering mosaics depict ocean life and flowing waves, made in a myriad of sea colours, following the flow of children and the school community in and out of the school. 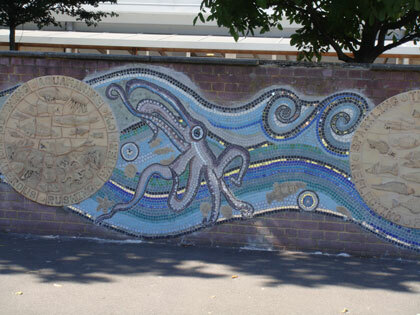 Funded in part by Awards for All Lottery as well as school funds, this mammoth mural makes a massive impact on the schools entrance. 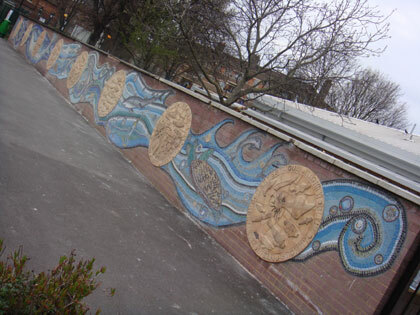 A legacy mural that will inspire children for years to come, pupils throughout the school worked closely with Maud Milton, Catherine Clarke and Victoria Jardine and mosaic specialist Norma Vondee The project also linked with the local pottery, Archway Ceramics, who fired the tiles. 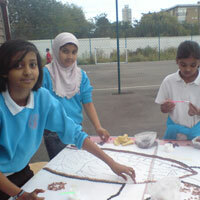 Many local community volunteers helped to put the mural up and do the essential finishing touches. 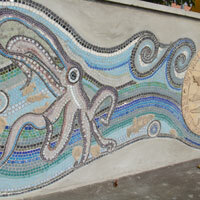 Drawn, designed and made by the pupils in extra-curricular classes, this project has taught many local children about the mural process and has highlighted many talented pupils. 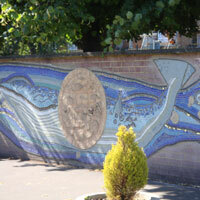 The resulting mural is something the children can be extremely proud of for years to come, and can be enjoyed by the whole community as it is visible from the street.